The creation of different platforms and new applications that reach customers directly, eliminating intermediaries, is showing us that the world is in an amazing stage of change and will never be what it used to … at least in terms of trade. Direct sales are gaining strength thanks to people collaborative networks, the speed and facilities that the digital world has managed to generate. That is why today I want to talk about Zeepod, a great platform created in Colombia that emerged from this business model of “no intermediaries”, believe me that among the many things that I have discover in my travels around the world, I had never seen anything like it and this application really surprised me. Zeepod is a free application that has sought to disrupt the currency exchange market, decided to be a pioneer in this segment obtaining excellent results and questioning the traditional models of currency exchange lodges due to the advantages that it offers as an application. With Zeepod, it is possible that customers and bidders can make currency changes directly now “from you to you, from person to person” without the need of a currency exchange lodge or bank in between, favoring this way the user instead of third parties. The application was designed for travelers from all over the world, like you or me that arrive in an unknown place looking for a fast, easy and safe alternative to exchange currency from our country to the destination’s country currency, where we intend to stay for a short or long time. How it works? It’s very simple. Let’s suppose that Andres has just arrived in Colombia from Spain, taking into account all the preparations prior to the trip and the difficulty in Spain to find Colombian pesos, Andres could not change his euros to pesos before getting to Colombia. Once in Bogota (Colombian capital), he decides to access Zeepod, when he opens it, a geolocation system allows him to see on the screen of his cell phone the euro’s purchase offer that other users who are in the same area have published. Andrés chooses Maria’s purchase offer among the many offers that are available and gets in touch with her through the application IM, they agree on a meeting location to exchange the currency without intermediaries, at the same time by talking they are opening the possibility of generating a small or extensive cultural exchange if they wish. There is no negotiation in currency exchange lodges, there is a pre-established currency rate, while using Zeepod you can negotiate the value rate you exchange your currency. With Zeepod’s geolocation system you can find currency exchange offers published by users who are in your area or close by, so you do not have to spend your valuable travel time to getting to currency exchange lodges. Zeepod is an application made by users, there is no closing time. Available all day to exchange your currency 7 days a week, 24 hours a day. An application that allows you to meet local people and also get to know them, which can be very useful when you need references or recommendations from nice locals when you are abroad, also generates the opportunity of an enriching cultural exchange, which for me is the greatest advantage that the application offers. 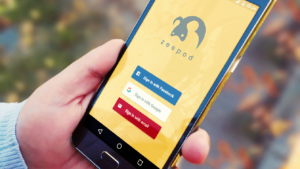 If you are wondering whether it is safe to exchange currency through Zeepod, you should know that the application is connected to a cell phone number, an email account and a Facebook profile for each user, this way you can validate the identity of the person with whom you will carry out the exchange and is easily identifiable in the web. It also allows you to rate the users with whom you interact which increases confidence and encourages participation to build a safe currency exchange community. So it’s time to change, and take advantage of the opportunities offered by the digital world and get the best out of it. Traditional business models are to be replaced by newer ones focused on offering greater benefits, agility and quality of service, to all behind the screen, that prefer to add agility to our days to have more time to enjoy real valuable moments. Zeepod is one of the many platforms that provide disruptive services to make life easier, like Uber, Airbnb and many other business ideas that leave the intermediaries aside … This application a few years ago was just an idea of two entrepreneurs from Medellin who decided to make a difference and be a true example of success. As an internet businesses expert, I am sharing this excellent application so that like me, you can integrate it into your travels and make it your faithful companion. Also, so that you realize that the digital world offers us excellent opportunities as entrepreneurs, we just need to leave traditional paradigms behind and put our dreams to fly. 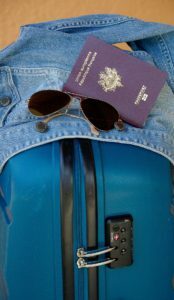 PS: When traveling, do not just think about getting your suitcase ready, think about your cellphone … That device will become your best ally if you intend to explore an unknown destination … You’ll see why I’m saying this!